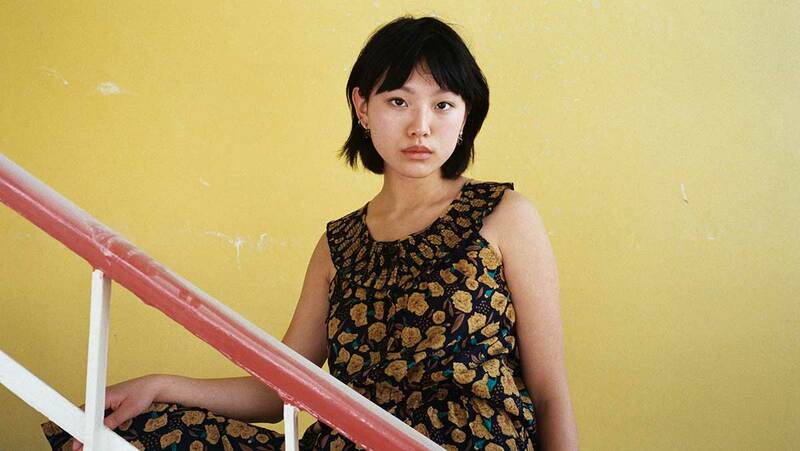 Initially established by New Zealand streetwear legends Drew Gregory and Dan Buckley (ex-Huffer), THING THING was born to build finely cut and critically constructed clothing, a play on the idea of two halves, or a dual-functioning entity. Now, Drew has joined forces with designer Kat Parker who heads up womenswear, while he focuses on THING THING’s menswear line. We caught up with the two designers to talk inspiration, evolution and their inevitable global takeover. TLFB: What made you become a designer? Kat Parker: Apparently I was extremely picky about what I wore since the age of two, and growing up I was always creatively led. While studying Graphic Design I did an internship for a clothing brand and after designing some t-shirt graphics I was asked to design a dress. I was hooked after that. Drew Gregory: My mother is an artist so the creative gene was in my blood. When I was growing up I started to follow the designers behind the fashion and music that I was into. I soon clicked that I could make a living from that creativity. How would you describe THING THING? 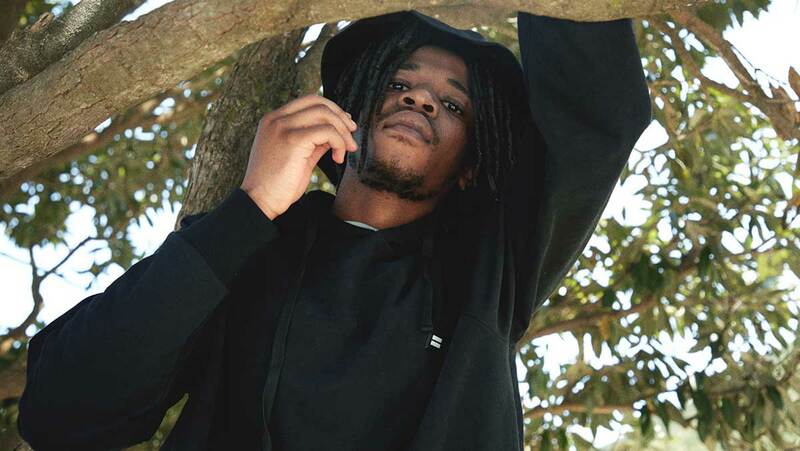 THING THING is a twist on everyday streetwear. It’s not this nor that. It’s easy silhouettes, bold prints, and a little something extra in the details. You might see a THING THING piece inspired from a different era but always with a modern take. Where does the name THING THING come from? It was born as a woman’s thing and a man’s thing. THING THING is the abridged version. How has the brand evolved since you began? We’ve grown up a little bit over the years without losing our youthful edge. We’ve also put more emphasis into sourcing the great quality fabrics and prints that the brand has become famous for. How do you want people to feel in your designs? We want them to feel like themselves — to express themselves by wearing it in their own way. We see our brand appear on so many different people and parts of pop culture, that’s what makes THING THING such an embracive brand. DG: For me it’s variety. I like to watch trends and what people are wearing but it’s good to balance that by drawing from uncommon sources as well. Stepping away from fashion often brings in ideas that add that extra hook. KP: While I was sitting on a plane to London preparing for a major sales appointment I realised how fast womenswear was growing. DG: It would probably be when THING THING started getting international recognition. Seeing the brand featured on blogs and shops overseas is right up there. Do you have any designer heroes? KP: My friends are all creative and wear such cool stuff. They are who inspire me. DG: Creatives from all walks… Junya Watanabe. David Carson. Mike Kelley. Hiroshi Fujiwara. My daughter is also shaping into a little designer herself. And my boy is starting to follow in her wake. I’m pretty inspired by that. KP: I am not very futuristic, to be honest. I don’t even know where I will be tomorrow. DG: We recently signed with an agency based out of Montreal who has driven the re-introduction of THING THING into the North American market. We are stocked in Canada, and working toward the goal of being stocked in the U.S. market as well. Our style is very much suited to the North American market… so, a global takeover maybe? 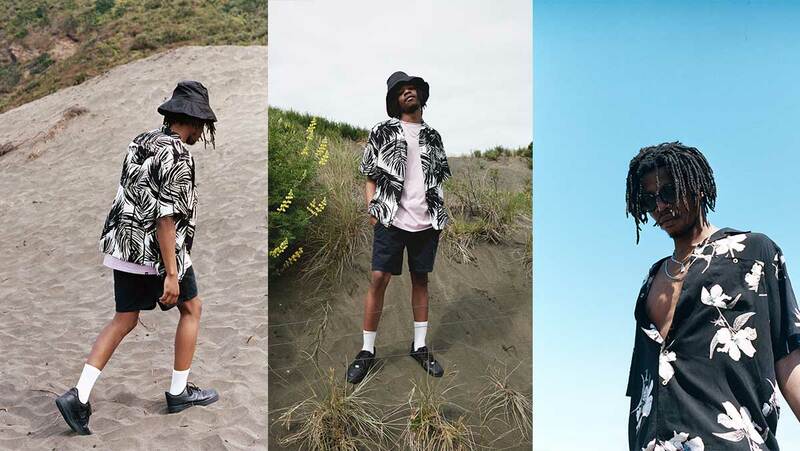 Check out their summer editorial featuring the appropriately vibrant “Dayzed” collection, shot in Te Henga on the rugged west coast of New Zealand, and shop the collection at thingthing.com.